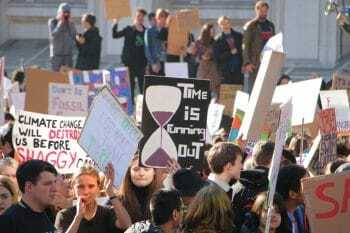 MR Online | Where next for the student climate strikes? Posted Apr 15, 2019 by Eds. The #YouthStrike4Climate movement has exploded in size from its small beginnings just over half a year ago, when one Swedish school student protested alone outside parliament against her government’s lack of commitment to the Paris Climate agreement. Only months later, on 15 March, over 1.5 million students in 125 countries (in more than 2,000 locations worldwide) went on strike together to demand systemic and radical change to stop global warming. In the UK, the strike turnout more than tripled on the previous national strike in February, rising from 15,000 to 50,000. The number of strike locations increased from 60 to around 150. This picture was replicated—on an even greater scale—in other countries. There were over 300,000 strikers in Germany, 150,000 in Canada, 100,000 in Italy, 70,000 in Switzerland and 50,000 in Belgium and many hundreds of thousands more across the world. This marks a qualitative shift in the consciousness of young people internationally. There has been no comparable militant, global, and organised youth movement in recent history. 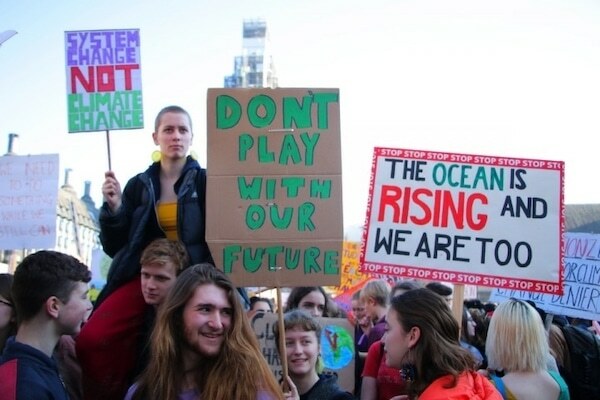 It is perhaps surprising—but no less encouraging—that the first reaction of an entire generation around the world to the threat of the climate crisis has been to organise themselves and take unofficial strike action. This instinctive internationalism and understanding of the power of mass organisation will prove to be an important formative experience for future struggles. Whatever may come of the student climate strikes, there will be many lessons learnt from this movement. There is now a generation whose main reference point when it comes to demanding political change is mass direct action, involving wildcat strikes and protests involving blocking bridges, stopping traffic, and climbing on buses. They have been shown very starkly the limits and impotence of democracy under capitalism, in the face of an environmental crisis that threatens our future. Whilst the movement lacks a clear direction or political programme, there is equally an implicit understanding that the power of a mass movement is necessary to force real change—even if the revolutionary consequences of this have not been fully drawn out. This reflects the kinds of political struggle which will emerge in the near future. The traditional unions in Britain have so far shown little appetite for the kind of radical action seen in this youth movement. 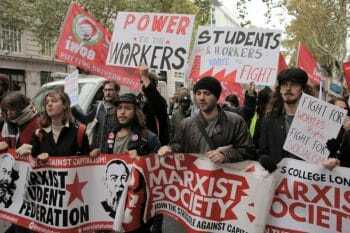 But the militant example of the school strikes could act as the spark for a wider movement of mass coordinated strike action in the trade unions against the Tory government, if this political connection is made between workers and students—and, most importantly, if a bold, fighting lead is given from the leaders of the labour movement. The focal point of the struggle in Britain at the present time is clearly on the political plane, around the fight for a Corbyn Labour government. But a mass campaign of protests and strikes must play a part in this, in order to force a general election and kick out the Tories. At the same time, a new wave of young workers in precarious sectors are starting to organise, particularly in smaller unions. The bakers’ union (BFAWU), for example, is organising strikes of McDonald’s workers. And there are also more militant and unofficial strikes taking place through the IWGB, UVW and other unions, who are organising outsourced workers. Young people are militant and angry, and are beginning to see the imperative of getting organised. 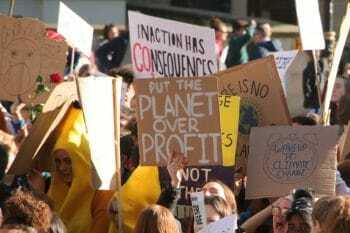 Whilst the spontaneity of the climate strike movement has allowed it to grow rapidly and lent additional militancy to the protests, we should not romanticise this spontaneity. In the absence of any organisation and direction, and without a clear socialist programme and alternative, such a movement can be derailed, co-opted, or run out of steam. This can be seen from the gilets jaunes movement in France. 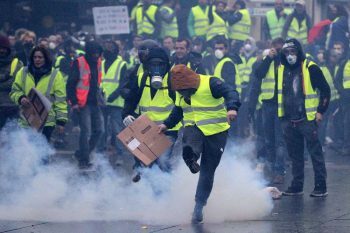 The yellow vests too are an explosive and radical mass movement: spontaneous; mobilised largely through social media; and characterised by a deep mistrust of organisation and leadership. The main reason for this rejection of organisation lies with the betrayals of the leaders of the French labour movement in previous struggles. Indeed, the big union leaders have actively distanced themselves from the gilets jaunes since the start of the protests last November. This has prevented the movement from realising its tremendous potential power, if workers were united and organised against the bosses and the Macron government. By contrast, the students in the climate strike protests are instinctively drawing political conclusions. Chants against Theresa May are frequently heard at the demonstrations in Britain, as are slogans in support of Jeremy Corbyn. Labour should therefore take a bold lead in supporting and helping to channel the radical anger of this movement. It is important to recognise that there is a sharp contrast between the official demands of the #YouthStrike4Climate movement and the demands and mood seen on the street. The official organisers make limited calls for greater education and awareness; votes at 16; and the declaration of a ‘climate emergency’. But the placards and chants on recent protests have made it clear that the overriding demands is for ‘system change not climate change’. It is necessary now to outline what this ‘system change’ must involve. Left-wingers in the British Labour Party and the American Democrats have called for a ‘Green New Deal’ to address the climate crisis. In essence, this is a Keynesian programme of government tax-and-spend. But it does not address the key question of ownership. Tackling climate change requires a rational and democratic plan of production. But you cannot plan what you do not control; and you do not control what you do not own. Elsewhere, there have been concerted attempts to depoliticise the movement. Angela Merkel, for example, has voiced some support for the strikes on this basis, hoping to channel the movement into a safe and palatable liberal direction. At the present time, however, the climate strike movement shows no signs of abating or watering down its demands. Meanwhile, the wider class struggle is only set to intensify. 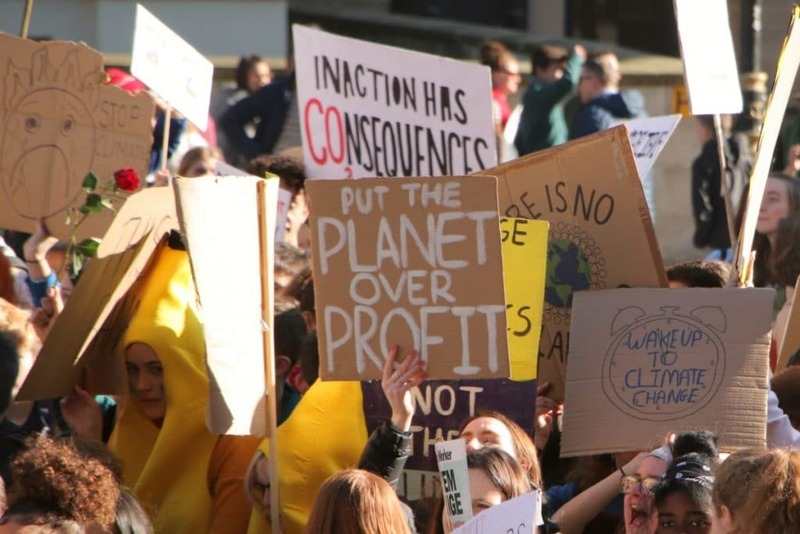 It is therefore imperative that the youth climate strikes link up with the organised working class, in order to build a mass movement capable of bringing about a fundamental transformation of society. Liberal environmentalism and tinkering around the edges of the system will not work. We must be clear: capitalism is killing our planet. We need a revolution.